OK...so I hear ya...whaaaat? Christmas cards? 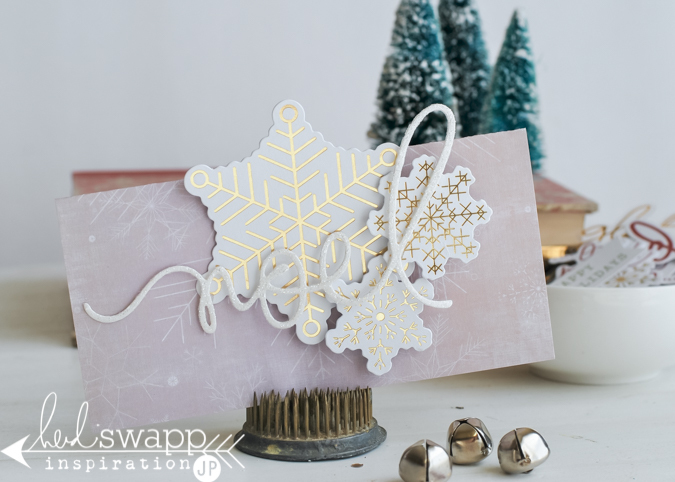 cause there is so much to love in the new Heidi Swapp Oh What Fun Collection that we seriously need to take a few months before Christmas to give it all it's proper due. Not to mention, if I don't get started now making all the stuff I need to get made for gifts for the season ahead, well frankly, it just won't get done. So today I have created a few cards. All a little different. But with a few things the same about each of them. First, they were all made with Oh What Fun. And that's pretty much it. Second, my attempt was to keep them all to five products or less. I will give those details for each card in a moment. Then third, this set of holiday goodness is available everywhere. JoAnn will have it. Independent scrapbook stores will carry. And today I will link to an online store that already has a lot of the items available for you to purchase right now. Like today. I'm serious. This first card I call Oh What Fun...see what I did there? It's fun and whimsical. That green is not a traditional color I turn to, but it is so classic Heidi that I had to get crafty with it. The base for this card is white card stock and is sized 4 1/4 x 5 1/2, a classic card size. Pattern paper covers front of the card. 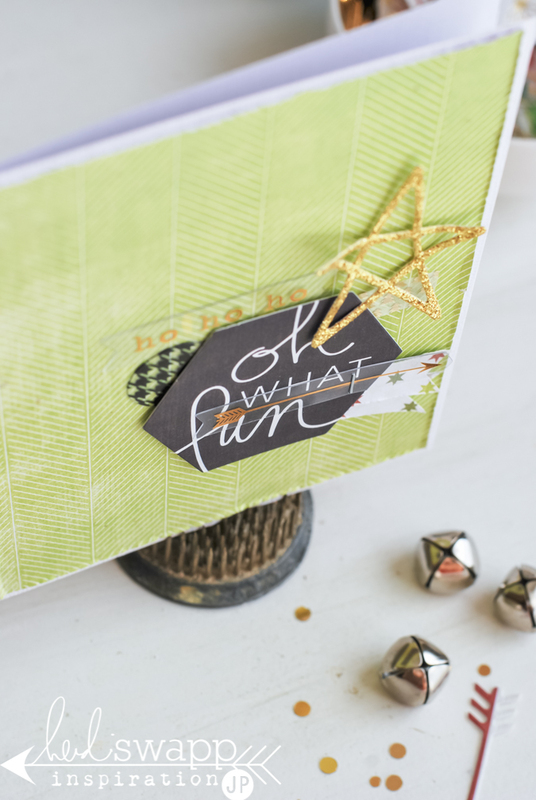 The star die was used on the gold glitter paper. (um...love that glitter paper so. much.). And then pieces of Ephemera were layered and stapled and adhered until I was happy with the composition. Next up, I simply call this one '25'. Same as before, the base is card stock. Then a layer of Pattern Paper. The frame is popped up with adhesive pop dots. The 25 was die cut from Glitter Paper and then also given dimension with the pop dots. Pieces of Ephemera were layered over the 25 and that pretty much sums up the making of this card. OK...so far, if you wanted to make the two above cards, all you would need are about seven different items from the Oh What Fun line. And the possibilities to create with those few pieces are endless. The last card today is suuuuper simple. This time I took a full sheet of the 6x6 paper and simply folded it in half. This gives you a 6x3-inch card base. I collected several of the gold foil and card stock snowflakes from the Ephemera pack. Those were popped up with dimensional adhesive. 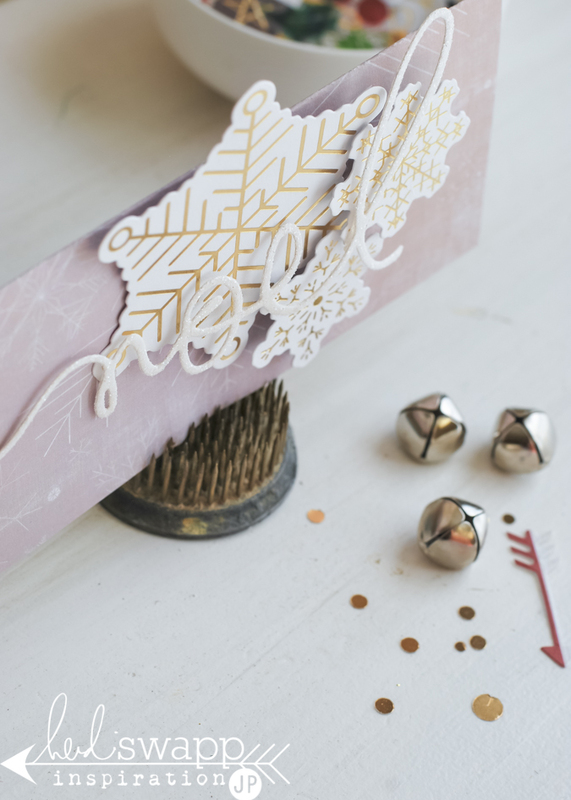 The 'Noel' was die cut from the white glitter paper found in the Glitter/Foil Paper. I carefully added a bit of hot glue here and there to the back to adhere it to the snowflakes. Done! So, a few products, that you will be using over and over again. A couple of ideas as to how to make those products into pretty cards. And some inspiration to get started on said cards for the Christmas that will be here before we all know it. Eek...now that's scary.